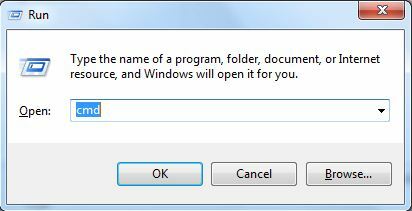 This tutorial will teach you show hidden files on virus affected pendrive or memory card using command prompt. You can easily unhide hidden files if you follow below easy steps. Find external storage drive name under mycomputer. Open run command window just type Ctrl+R. and type cmd on it. Then type below command on command prompt. attrib -h -r -s /s /d "k:\*. *"
Here K is external storage device driver name. Thats all now check your storage device . Now you would get all files. Missed Call balance notification becomes a handy procedure with your mobile device. No need to carry your passbook for mini statement. Anytime from anywhere you can give miss call from your registered number which in return text you your account balance.Yes you read it correct! You can now get your account balance from respective bank by giving a miss call. You have to register your valid active mobile number to be associated with your account. Once your mobile number is registered you can give miss call on the respective toll free number of the bank. After giving miss call a message will be inboxed to you having your account balance. This service saves your time as well as it will reduce queue length in the banks. Here we listed out Top 36 Microsoft Windows essential shortcut keys. The following list includes the default keyboard shortcuts You can open, close, and navigate the Start menu, desktop, menus, dialog boxes, and Web pages using keyboard shortcuts. Keyboard shortcuts may also make it easier for you to interact with your computer. Here we listed out Top 11 Dialog Box Keyboard shartcut keys. The following list includes the default keyboard shortcuts you can use in CaseMap for dialog boxes. You can also customize keyboard shortcuts. Here we listed out top 24 Top 24 Microsoft Natural Keyboard shartcut keys. This article lists keyboard shortcuts that you can use with Windows.